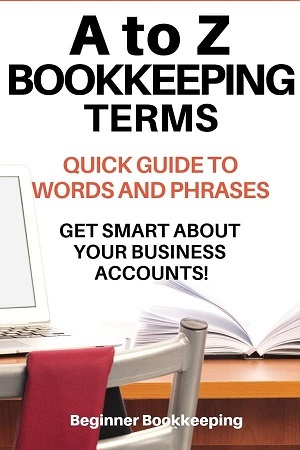 Discover the meaning of common bookkeeping terms, words and phrases from this quick A - Z style guide. The alphabetical layout will help you easily find the word you need. The place where financial entries of a similar nature are recorded, for example the 'Sales' account is where business income goes, the 'Stationery' account is where all pens, paper, staplers etc go. A list of account names is called the Chart of Accounts. The process of sorting and entering financial data into a bookkeeping system. Also refers to the finalizing of end of year accounts, producing financial statements and calculating tax payable by a certified practicing accountant. The person who sorts and enters financial data to a bookkeeping system. People often inter-change bookkeeper and accountant to mean the same thing. Also refers to the person who does the annual financial statements and tax calculations. Unpaid supplier invoices and bills (that is money owed by the business to other businesses) are grouped under the Accounts Payable account - 'AP' for short - and are found on the balance sheet as a liability. Once a bill is paid it is removed from this group. Also see Accounts Payable Definition. 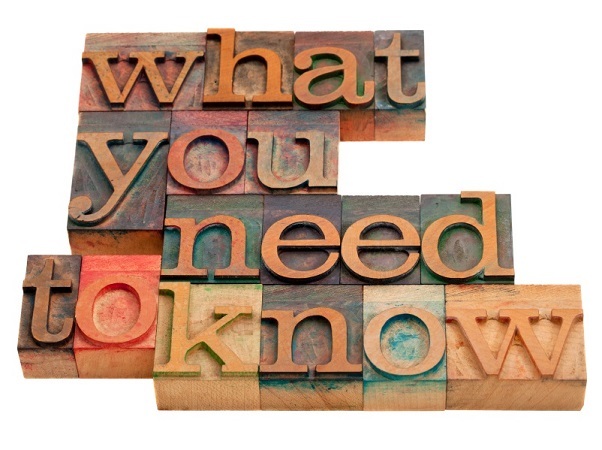 Recognizes income and expenses when they are incurred, not when they are paid. E.g. Mr S buys a book in December, gets the bill and only pays the bill in January. In the accounts, the purchase is recorded and shown on the Income Statement in December at the date of the bill, not in January when it was paid. Items of value owned by a business. Assets are found on the balance sheet and include current assets like cash in the bank accounts, cash in petty cash box, accounts receivable and non-current assets like equipment, land and buildings, vehicles. An electronic copy of the financial data. This could be either to a cd disc, usb drive or some sort of online storage. Backups are vital to preventing loss of data if the computer crashes. The last thing you want to do is spend hours re-entering all the transactions for the previous months and re-do the bank reconciliations. These are sales invoices that have been written off because the payments are overdue and never likely to be paid. Sales invoices are only written off after some effort to retrieve the funds including going through debt collection agencies. Bad debts are expensed in the accounts. A balance sheet report shows the business owners and managers how much equity is in the business, how many assets the business owns, and what the business owes in liabilities. The balance sheet falls in line with the accounting equation. The secure financial institution where businesses deposit their earnings and from which they pays their bills. Banks provide business advice and can advances loans to businesses for growth. A report which the bank produces listing in date order all the money received and all the money paid out of the bank account, ending with the balance of cash in the account. Taking cash and checks/cheques to the bank to deposit into the business bank account. Invoicing customers for goods or services they have purchased from the business. A trained and qualified person who does the bookkeeping process mentioned above. The process of collating, recording and reporting on the financial transactions carried out by a business. A bookkeeping cycle is usually based from the 1st day of the month to the last day of the month, and repeats every month. Bank reconciliations are done to the end of the month, financial reports produced for the month, sales tax and payroll tax calculated for the month. The month end is ‘closed off’ and financial transactions for that month should not be changed in any way except by reversing/correcting journals and only carried out in the next month. This goes on for 12 months until the end of the financial year when all the data is sent to a chartered accountant. The financial plan in which a business decides what it estimates it will earn in the year ahead, what those estimated earnings will be spent on, and then comparing/monitoring the actual figures against this plan. The personal funds a business owner introduces to their business so that it can operate. Recognizes income and expenses when they are paid for, not when they are incurred. Eg. Mr S buys a book in December, gets the bill dated December and only pays the bill in January. In the accounts, the purchase is recorded and shown on the Income Statement in January - the date of payment. The main book in which is recorded all the funds moving in and out of the business through the bank account. The cash book always contains the following information for all of these transactions: date, amount, description of transaction, bookkeeping account as per chart of accounts and reference . The movement of cash through the business; this report details how cash flowed into the business and what it was spent on. Estimations can also be made in a cashflow forecast on the income and expenses for the year ahead - these figures will be based on prior earnings and costs and can help a business work out their sales goals and budget. A person who trains and qualifies in advanced financial care of a business, particularly specializing in collating and preparing annual financial reports, income tax preparation and filing, and providing advanced advice on how to improve and grow businesses in accordance with tax laws and other legal implications. CPA’s can provide support to and work along with bookkeepers to ensure all the financial data is being entered into the bookkeeping system correctly to make tax preparation easier. Special pre-printed slips of paper in book format produced by the bank. These are used by a business to pay their bills in place of cash or instead of internet banking. These notes are completed by the business by entering the date, the name of the person/business being paid and the amount in numeric value and word value. They have to be signed by the authorized signatory of the bank account and usually expire 3 to 6 months after the date issued. It is safe to send cheques in the post, unlike cash which can be stolen. The final balance on the bank statement or in the cashbook or ledgers at the end of any given day. A term used to describe the allocation of a transaction amount to an account in the chart of accounts. If a payment is made into a bookkeeping account, and then that same payment is paid out of the account for a reason, it is called a contra – the two figures contra each other out i.e. they cancel each other out of the account. Example: $200 was paid into the Sales account. The bookkeeper realized that he should have used a different account so he pays the $200 out of the Sales account. This is the contra. When a business transfers their bookkeeping records from one accounting software program to another they are ‘converting’ their books. What they do is take the closing balances from the old software and enter them into the new software as opening balances. These are called conversion balances. Also known as cost of sales. This is the cost to the business of any parts or stock that are sold to customers. This can also include the manufacturing costs of such products. Credits can be found on the right hand side of the double entry method of bookkeeping. A credit entry decreases assets and expenses, and increases income, liabilities and equity. Also, money that is owed by a business to a supplier/vendor is called credit. When you want to open an account with a supplier you would most likely fill in what is called a Credit Application. Credit is also money that is owed to a bank on a credit card. Credit cards enable individuals or businesses to purchase goods or pay for services in person or online using the money of the credit card company, up to a set limit. The person or business then pays the money back to the credit card company in regular monthly installments or in full with one repayment. The credit card company will charge interest every month to the person or individual calculated as a percentage on the credit card balance owing to the credit card company. A document that provides a refund to a customer for goods returned or sold at the wrong price. The person or business to whom our business owes money for purchases made. The financial information found inside the bookkeeping system. A debit balance is found on the left hand side of double entry bookkeeping. A debit entry increases assets and expenses, and decreases income, liabilities and equity. A customer that owes your business money. When money (cash or checks|cheques) is paid into a bank account it is called a deposit. The bit of paper that accompanies the cash or cheques and which details what bank account the funds should be paid into, the amount of the deposit and the date of the deposit. Most assets belonging to a business decrease in worth over time due to wear and tear and daily use – this is depreciation. The value that is used to depreciate the assets is calculated with special rates set by the tax department. It is usually a percentage of the cost price, less previously calculated depreciation. 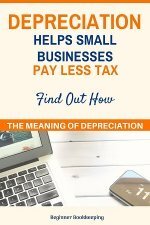 Depreciation can be claimed as a business expense to reduce income tax. The section of a financial transaction that describes the item or service purchased or sold. A document that contains information about a product sold from one business to another, such as a delivery docket. The method of bookkeeping in which all financial transactions are entered twice – once as a debit and once as a credit. All the debits need to equal the same as the credits. If they don’t it is called being out of balance and the error will need to be found. Funds withdrawn from a business by the business owner for their personal use. making sure the various sales tax and paye tax has been calculated and reported and paid to the government. Depending on the size of the business, it can take a bookkeeper several weeks into the following month to get the previous month finalized and closed off, after which no changes should be made other than with journals in the current month. All financial transactions input to the bookkeeping system are called entries. Equity is the net assets of a business - or in other words - Assets minus Liabilities equals Equity. The Equity section is found on a Balance Sheet and it includes how much the business owner has contributed to the business from personal funds (capital) and how much they have withdrawn from the business for personal use (drawings). Most purchases made by a business are called an expense. Expenses are found on the profit and loss report and can be used to reduce the amount of tax owed to the government. Most accounting software programs allow the bookkeeper to export information to excel or pdf for various uses. 1) In many cases it is possible to export creditor payments from the software and upload directly to the bank for payment so that the account and details do not have to be manually entered into the bank – a real time saver if you have a lot of bills to pay. 2) The export of financial data to excel allows flexibility for developing financial reports based on the bookkeeper’s preference rather than being stuck with the parameters set by the software. Goods can be shipped outside the boundaries of a country either by land, sea or air. Small packages are said to be posted by international freight, but shipment of larger items will require special export documentation. The physical or digital place in which a business puts all its documents in a specialized method. Filing is the process of putting away documents in a systematic method. Also, when a bookkeeper says “I am filing the sales tax” they mean they are sending a report to the government on how much sales tax the business has to pay for the month, or “I am filing the paye” they mean they are sending a report to the government showing how much payroll tax is due for payment by the business. 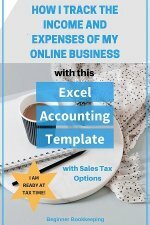 Reports that are produced by a tax accountant at the end of the financial year based on all the data entered to the bookkeeping system by the bookkeeper. These reports indicate how well the business is or is not doing, what the business is worth, and are used to calculate income tax due to be paid to the government. The money or value of money involved in all business transactions within the business or at the bank. This usually comes up when there are foreign currency transactions to be dealt with. When a business is given an invoice by an overseas supplier in a foreign currency, it has to be converted into the local currency when being entered into the accounts. When it is time to make the payment the local currency has to be converted into the foreign currency by the bank. The date at which it is entered will have a different exchange rate to the date when it is paid because exchange rates fluctuate on a daily basis. These different exchange rates cause financial gains or losses that need to be identified in the accounts. The losses occur when the business has to pay more to the supplier than the original conversion. This is calculated by taking the business income and deducting the cost of sales. If the cost of sales is more than the income a Gross Loss results. Buying equipment such as a computer by paying it off through a finance company. At the end of the lease period the business will have the option of making a final payment to own it, or they can return the equipment and upgrade to a newer model. The new model can be paid off through the finance company, so the whole process starts again. Data brought into the bookkeeping records through a digital import. This could include bank transactions which can be downloaded from the bank in a special format such as CSV, or it could be contact names and addresses from another program such as excel. Import can also mean to bring into the country stock purchased overseas. Money that is earned by a business through the sale of products or services. The term used for entering data into the bookkeeping software. Financial statements can be produced for a bank or loan company at any stage during the financial year but because the financial year has not ended yet they will be called interim reports because they are based on a shorter period than the full year. Banks or loan companies usually require these so they can see how the business is doing before approving a loan to the company – they want to be sure the business has the means to pay back a loan. Interim reports are usually sufficient for this purpose. A list of items that a business buys and sells. These items are kept in a store room of some sorts and a strict record kept of the number of items on hand at any given time. A document that details the sale or purchase of stock, parts or services. The invoice will show the main details such as date, invoice number, quantity, description, cost, total, payment terms. When a business buys the products or services it will receive a purchase invoice and when the business sells products or services it will provide a sales invoice to the customer. An entry that is made into the accounts utilizing double entry bookkeeping to make an adjustment to the accounts such as if a correction has to be made. The journal describes which account is being debited and which account is being credited, the date, the reason for the journal and a reference. Each account on the chart of accounts has a ledger page. The ledger page lists all the entries made against the account either as a debit or a credit. The ledger page is totaled at the end of every month. A loss occurs when the gross profit of a business is less than the expenses the business has to pay to keep the business running. This is usually called a Net Loss. Margins are calculated as percentages. One example is the gross profit margin which is based on sales divided by gross profit and the result turned into a percentage. Businesses can chose what margins they should have to be able to earn a profit and based on those margins decide what prices to sell their products to make this happen. When a business buys stock to sell they usually increase the price before selling it. This is called a markup. So if Betty buys a bag for $10 and sells it for $15 her markup is $5. Markups are calculated either as a percentage of the price it cost to buy it, or set as a fixed calculation such as doubling the cost price. The result after taking expenses away from the Gross Profit or Loss. The opening balances are the values found on the first day of the financial period. So for example, if your financial year starts on 1 January, the balances at the start of that day in the cash book or the ledgers are the opening balances. Opening balances are usually always exactly the same as the closing balances on the day before. Anyone in employment who is paid a wage or salary will have their name on the payroll of the business. The bookkeeper in charge of payroll will ensure that all the relevant details of each employee is entered into the payroll program, will process a pay run on a regular basis to calculate how much each employee will be paid, and will make sure the payments happen on time. The bookkeeper or payroll clerk will also ensure that paye is paid to the government. Short for pay as you earn, which means that individuals who earn wages or salaries have tax deducted from each pay by their employer. The employer is responsible for passing this deduction on to the government, usually on a monthly basis. A business can keep cash in a safe place for the purpose of making small purchases like milk, stamps, pens etc. The petty cash is monitored carefully by the bookkeeper. All money paid out must be recorded in the petty cash book so that the expenses can be included in the accounts, and when the cash runs low it will be topped up with an injection of more cash. The difference between income earned and expenses paid. The greater the profit the better for business. When a business buys goods or services it is called purchasing. When a business needs services or parts they can shop around and ask for suppliers to provide a written cost for the parts or services – this is a quote. The business would chose the supplier who provided the best quote. Quotes are usually only valid for a certain time frame – a few weeks or months. When payments are received from customers a receipt can be issued to them to confirm the details of the payment received, particularly useful for cash payments – the receipt provides proof of payment. Also, receipts are what everyone gets when shopping with their bank card and swiping the card through the electronic machine at the shop counter. Businesses should keep these receipts in a folder to match them up to the bank statement ensuring an accurate cash book. Accounts that are due to be paid by the customers of a business are listed on the accounts receivable report. Anything that is receivable means that the business expects to receive money. The process of matching one set of figures or documents with another set of figures or documents. For example, matching the cash book with the bank account and investigating and fixing any differences; or checking that the business has received all the invoices listed on a supplier’s statement and if any are missing phoning the supplier for them. A transaction that repeats regularly every week or month for the same amount to the same place is said to be a repeating or recurring transaction. A number or combination of numbers or letters that are used to identify each transaction within the cash book following through to the journals and ledgers. Each financial transaction is allocated a unique reference that can be traced easily through the bookkeeping system. A refund can be provided to or from another business if bills have been overpaid. An individual who buys something for the business with personal funds can be reimbursed by the business i.e. paid back for that purchase. A document that is given to a supplier or received from a customer that lists what invoices are included in a payment made. A salary is a fixed amount paid to an employee for their work. People on salaries do not earn overtime pay like a wage earner when working more than their standard hours. All items or services sold to customers fall within the sales category. A bookkeeping system in which all financial transactions only have to be entered once. This is usually within a cash book system and does not utilize journals and ledgers for the process of balancing. 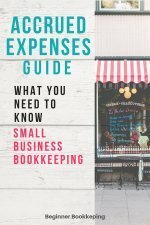 Computer programs that are used to keep the financial data (like Quickbooks, Xero, Sage, MYOB etc. or for processing payroll, or for typing up documents and reports (excel and word). A report that displays financial information. Examples are Income Statement which is another term for Profit and Loss Report, Statement of Account which a supplier of services or goods provides to their customers which details all the invoices issued to them in a certain time frame (like a month), Bank Statement which is a listing of transactions in and out the bank account. A deduction from the income earned by a business or individual. The deduction is paid to the government. The government uses taxes to maintain and run the country. Tax that is deducted from someone's wage or salary (also see 'PAYE') which is held by the employer and paid to the governing authorities on a regular basis. Tax that is deducted from sales or purchases of goods or services and paid to the governing authorities. Also called GST, VAT, HST. Time-billing is the process of taking data from an employee’s time-sheet and charging it onto customers. The data is made up of the hours that the employee spent working on something for the customer, a description of the job and any other costs associated with the job. A transfer of funds from one account to another. The allocation of funds from one account to another. This could be for a bank account or a ledger account. An asset account in the bookkeeping system in which is entered money that has not yet been deposited to the bank. A business might receive cash and cheques from several different customers in one day. The bookkeeper can receive these payments against each individual invoice in the bookkeeping system and receive each payment into the un-deposited funds account. The bookkeeper will then total up the payments and write out a deposit slip for the bank with the total and will take that to the bank. Once the bank has placed it into the account and it shows on the bank statement, the bookkeeper can move it in the bookkeeping system from the un-deposited funds account to the bank account. Some software has the option of clicking on a ‘transfer’ button and some software will require you to process a journal entry for this to take place. Checks/Cheques that have not been deposited to the bank are said to be unpresented. This term is used most often on bank reconciliations to aid in the reconciling of the cash book with the bank account. A payment made to an employee for the work they do. Wages are usually based on an hourly rate agreed between the employer and employee. Income tax is also usually deducted from the total so the employee receives a net payment. Wages are found on the profit and loss under expenses. When funds are taken out of a bank account they are ‘withdrawn’. An amount that will not be paid by a customer can be written off. This just means that an entry is made to the accounts to bring the customer’s account down to zero. The financial year-end is always busy for a bookkeeper because this is when the accounts for the year need to be finalized and handed over to an accountant to calculate how much tax a business needs to pay to the government. What the bookkeeper needs to do is ensure all bank reconciliations are completed, all transaction entries are coded correctly, all supporting paperwork is available and all sales taxes and payroll taxes have been processed.